The average American adult is best able to make financial decisions when about age 53. That’s from studies at Harvard University, New York University, and the U.S. Federal Reserve System. Putting this finding together with the fact that American adults ages 65 and over hold about 35% of the nation’s wealth, there is clearly a need for ethical marketers to protect seniors from unwise monetary transactions. Advancing age often is accompanied by drops in hearing, vision, memory, and reasoning skills. Declines in payment management skills. Difficulty issuing payments or keeping records while carrying out everyday transactions. Arithmetic mistakes. Errors making or receiving change to pay for items at the store or when computing an appropriate tip in a restaurant. Memory lapses. Failing to pay bills or paying the same one several times. Disorganization. Losing track of financial and other documents. Impaired judgment. Abiding interest in get-rich-quick schemes or unfounded anxiety about the nature and extent of one’s personal wealth. Conceptual confusion. Difficulty understanding basic financial terms and concepts such as mortgage, will, or annuity. If you suspect that your senior citizen client needs protection, you could refer them for evaluation to a mental health professional or attorney conversant with validated guidelines for assessing financial capacity. You might talk with those who observe the senior’s daily financial dealings. If the senior places trust in family or friends, those individuals are in a position to accompany the senior to appointments and help pull back your client from foolish decisions. Further, talking with family and friends allows you to spot any evidence that those trusted individuals are financially exploiting the senior. Referral to a mental health professional also can be useful to resolve the likely sadness and suspiciousness when a senior's financial decision making is trimmed. And whether or not you identify deficits in financial capacity, present information with particular patience and in multiple modalities when serving senior citizen clients. Say the information, have it in writing for the senior to read, encourage questions about it, and ask the senior to explain reasons for the decisions they’re making. Consumers are more likely to enroll in and adhere to a program requiring discipline if those consumers are allowed to fudge. Researchers at UCLA talk of building an emergency reserve into programs like commitments to lose weight, exercise more, and limit cell phone minutes. Importantly, people in these programs resist dipping into the emergency reserves, so they tend to meet their goals, experience satisfaction, and sign on for more challenges. The resistances to use are greater when the conditions of the program say that if the consumer uses it today, they can’t use it tomorrow or if the consumer dips into the reserve today, they’ll need to do something tomorrow to compensate for this. Researchers at Washington University in St. Louis and Florida State University found that people aiming to lose weight remain more engaged in a program when the objective is stated as “lose between four and six pounds this next month” than as “lose five pounds this month.” A range also worked better when the objective was to save money during a specified period. Attainability. People reject objectives they view as outside reasonable reach for them. The lower number in the range serves as a hook. Similarly, knowing there is an emergency reserve bestows the appeal of just-in-case flexibility. Challenge. Goals which require an effort will excite people, and excitement leads to engagement. The higher number in the range provides the challenge. As participants in the program realize they don’t have to depend on using the reserve, they get stimulated to do more. Self-efficacy. When people achieve an objective they’ve set themselves, they feel more confident in setting subsequent objectives of the same sort. The width of a range increases the likelihood the objective will be met. Moreover, the self-efficacy limited to a particular type of task might spill over to generalized self-confidence. However, there’s a difference between having a range of acceptance and having a separate backup plan. In a set of studies at University of Wisconsin-Madison and University of Pennsylvania, people were asked to complete tasks with a promise of rewards for success. Some of the participants were also encouraged to develop backup plans for how they might obtain equivalent payoffs if failing to get them from the study conditions. Those participants with backup plans did less well on the tasks and showed a lower drive to get the reward. In marketing to senior citizens, stay aware that negative emotions such as fear and sadness impact these consumers in distinctive ways. Examples of this were analyzed by researchers at University of Southern California. In one study they reviewed, a group of younger and a group of older adults were coached to feel positive emotions, negative emotions, or neither and then shown pairs of photos. Each photo in the pair was of a face exhibiting a positive, neutral, or negative emotion. The degree of attention to the faces was measured. Most of the younger adults who had been made to feel negatively paid particular attention to an angry or frightened face. Most of the older adults made to feel negatively paid particular attention to a happy face. The explanation is that as consumers age, they acquire a positivity bias, causing them to pay more attention to the upsides and to put a happy edge even on sadness and fear. This change helps seniors deal with the inevitable discomforts and disappointments. Unlike younger adults, the seniors fear health threats more than social threats, but they prefer not to fear either. Older adults were asked to write an autobiographical sketch and then shown a list of words. These participants devoted significantly less notice to words having to do with pain and fatigue than to the pleasant words. Researchers at University of Rennes and University of Paris-Est found that among younger consumers, the attitude toward an advertisement is less favorable when it follows a sad television program rather than a happy one. However, for the older study participants, witnessing sadness didn’t arouse as much sadness as it did in the younger participants, and the attitudes toward the ad weren’t much different between the conditions of happy and sad programming. The elderly consumers did not turn away. In fact, emotional appeals, including sadness-based ones, usually help senior shoppers remember details about sources of marketing messages more accurately, according to researchers at Trinity College, College of Charleston, and University of Toronto. Talk to your elderly consumers about positives, such as comfort, contentment, and joy. Then combining this with an arousal of sadness or fear can be powerful. Point out how what you’re marketing helps avoid the negatives. Last, segue into talking about achieving the positives. All emotions arouse interest among older consumers, and as people age, they do get better at transforming negatives into positives. 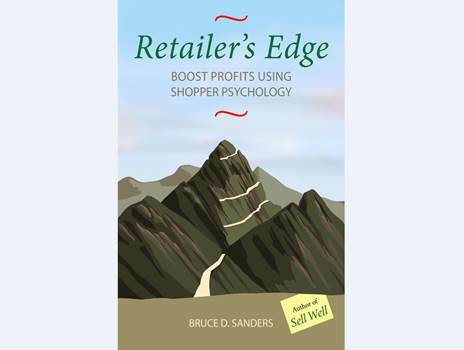 You’ve less influence over the personalities of shoppers entering your store than you do over the personalities of staff you’ve selected and coached to be order getters, not just order takers. So attending to sales staff personalities can pay off. The researchers found that, in general, people who are extraverted and open to experience are more persuasive. These personality traits played the greatest role when the target of persuasion had low involvement, such as what would be true with routine purchase decisions. A set of researchers, at Manhattan College, used the Big Five to assess another set of characteristic of desirable employees. They saw an association between high conscientiousness and agreeableness and lower rates of workplace theft, absenteeism, tardiness, and on-the-job uncooperativeness. As for emotional stability, its value for productive staffing is best seen by considering the name psychologists chose to label the other end of this fifth dimension. The name is “Neurotic,” and the descriptors include anxious and impulsive. People tend to maintain their positions on the Big Five dimensions throughout their adult lives, so what the researchers found plays more importance in selecting sales staff than in coaching sales staff. Still, for sales staff already in place, cultivating changes could make a difference. The researchers found that when the CNK of employees in a store is higher, customers are more satisfied and say they’ve gotten better value from their purchases. Employee with high CNK pay close attention to each customer they’re with and are visibly concerned with the problems of that customer. Writing in Journal of Aging Studies, researchers from University of Zurich contend that what distinguishes consumers who live happily into their advanced years is a habit of being cool. Senior coolness, they say, is composure and poise which reduces problems of daily living to manageable levels. But another set of researchers—these based at University of Borås, Kristianstad University, University of Copenhagen, and RISE Research Institutes of Sweden—find it’s harder to keep your cool when there are barriers to you getting to the cool. The chilled groceries, that is. These researchers watched shoppers and interviewed shoppers, including seniors, in situations where grocery store cooler cabinets either had doors or didn’t have doors. The conclusion was that the doors created barriers of various sorts. There was the added challenge for seniors of holding the door open with one hand while reaching for the merchandise with the other. The challenge of navigating a shopping cart to the right location in front of where the cabinet door opens, especially when other shoppers or stocking clerks also were aiming for that prime place. Sometimes, the challenge of selecting the right door to pull open because moisture condensed on the inside of the door glass, clouding a clear view. With some shoppers, a discomfort touching door handles which many others had apparently contaminated already. For these and more reasons, about 75% of the senior shoppers in the study ended up asking others for help retrieving items from merchandise cooler cabinets with doors. That’s not to say everybody preferred the no-doors configuration. Some of the shoppers said the doors made the merchandise look more neatly arranged, kept unpleasant food odors contained, and protected the shopper from cold air. That third reason should be of particular interest to retailers serving senior citizens. Compared to younger shoppers, seniors are more likely to feel lonely, and lonely people prefer warmer store environments. So the lesson from the study I’d like to pass on is not whether to have doors. The lesson comes from the methodology in the study. The researchers watched the shoppers and talked with the shoppers in order to decide what works best and when. This is what I suggest you do with all your shoppers and especially the elderly. Your senior shoppers may have accessibility and mobility issues which create barriers to purchases you might not be aware of until you observe and interview. Attachment style refers to how accepting and supportive people believe others are toward them. Those who are confident others will be available whenever needed have a secure attachment style. In the research, words that characterized them included wanted, welcomed, liked, and cherished. People who worry about the stability of relationships with significant others have an anxious attachment style. Words used by the researchers to characterize them included abandoned, neglected, disregarded, forsaken, disconnected, and let down. The study results indicated that customers with a secure attachment style have generally favorable views of a store using customized pricing. But the basis for the favorable view is that the customers believe they’ll get better prices than do others. Unless there is some compensating advantage for the retailer, a customized pricing strategy with these customers results in reduced revenues on balance. It can work if you charge a higher price often enough and explain the higher price in terms of a benefit important to the shopper. It might be expedited delivery, at-home installation, initial training in product use, or access to an increased number of alternatives to select from. Researchers at University of Kentucky suggest setting a price on a customized bundle of items, since this is a step removed from the individual prices. On the other hand, customers with an anxious attachment style who shop in a store with a customized pricing policy are relatively less concerned about getting a cut from the price tag tariff. It appears that their yearning for a good relationship with the retailer motivates them to accept that, over the long haul, they won’t be exploited. As long as the retailer maintains a fair overall pricing policy with these people, the customized pricing policy can pay off by evening up product demand and introducing some excitement into transactions. How to recognize who feels secure and who abandoned? With customers you’ve come to know over time, their general disposition is revealing. 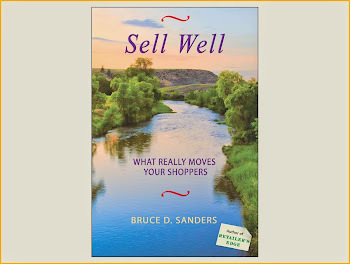 With other customers, engage in conversation and then attend to the words the shopper uses and the nonverbal tells like posture and gestures. As the brain ages, it becomes less efficient at processing complex information, and the owner of that brain becomes more dependent on shortcuts. These shortcuts, called “heuristics” by consumer psychologists, often involve looking for comparisons, contrasts, and trends. We can ease the process for senior shoppers by summarizing complex information in tables and graphs to supplement the comprehensive descriptions. We’ll want to design the graphics in ways that highlight points important for the consumer to understand. Some of this has to do with ease of visual perception. The use of different colors for different trend lines in charts helps. So does the use of shading of alternate rows in a table so the eye tracks correctly. We’ll also want to check that all the data points in the table or chart are accurate. Still, after we do all this, the inclusion of tables or charts can mislead seniors, according to Cornell University research. The reason is that the presence of a table or chart gives the rest of the material credibility even when the information in the visual is of trivial importance. To assess the effect, the Cornell studies used material about the sorts of medications elderly adults might consider taking. The researchers found that claims of a medication’s effectiveness were more believable when accompanied by a chart portraying the same information contained in the text. Studies at Northwestern University and University of Minnesota indicate that adding animation to a chart, as might be done in online presentations, adds to the risk of misunderstood trends. People readily project ahead from animations which show trajectories, such as weight change or return of motion range. Also, many consumers place extra trust in a computer-generated animation because the animation is employing a more sophisticated technology than still pictures. “What’s newer must be better,” they say. And since animations are more lifelike than text descriptions or still pictures, consumers remember with enhanced certainty any mistaken conclusions. A few days later, what was actually false is recalled as true. Tables are better than graphs as long as the tables are sufficiently comprehensible. When the table is presenting purchase alternatives, list features across the top, the names of a small selection of product alternatives along the left side, and checkmarks in the cells to indicate which product has which features. In the table, describe features concisely. Outside the table, state the benefit of each feature. When tracking the key performance indicators of your retail store, stay aware of the range of benefits an initiative ends up producing. For instance, researchers at University of Arkansas, University of Texas-Dallas, University of Connecticut, and University of Buffalo find that deep promotional discounts might improve store traffic significantly without noticeably impacting weekly store revenues or profit margins. They also showed how joy at improvement in one KPI might blind you to simultaneous deterioration in another KPI. In their study of sales of 27 product categories in 24 grocery stores over 55 weeks, the increased profits from deep discounts on multiple items in a merchandise category were accompanied by a deterioration in store profit margins. The best discounts for building store traffic are on best-selling items. Having more shoppers in your store can boost awareness of all that you offer and add excitement to the shopping experience. The payoffs may be in long-term repeat visits even if not in the short-term. When discounting low penetration, low frequency items, look for the payoffs in increased sales of profitable complementary items. In the study, discounts on beer positively influenced sales of salty snacks, which have a higher profit margin. Findings from other studies indicate you’re wise to stock such complementary items adjacent to each other or at least post pictures of the higher profit item in the areas where you’re selling the discounted item. Discounts on branded items more strongly affect sales per transaction than do equivalent discounts on generic items. Other research finds that consumer behavior toward generic brands becomes similar to that toward nationally branded items when premium versions are introduced. Because of stockpiling effects, track sales of items you’ve deeply discounted for a few typical purchase cycles beyond the period of the discount. If customers are purchasing high quantities of storable merchandise, your results for short-term profits on that item will look different from the longer-term results. Your pattern of KPIs from a deep discount depends on whether other retailers are offering deep discounts on those same items at the same time. Other research finds that loyalty to your store can be maintained or enhanced when you’re matching the low prices of your competitors even when sales of those items are not increased in your store due to the discount.